You advertise that the white leds are 6x3watt leds but it is only 9x1watt leds.Despite this,for my pico reef (20liters) it does the job very well. Habe diese Leuchte über dem Algenrefugium hängen.. dort ist es nicht schlimm das man sie nur entweder aus, blau oder komkpett schalten kann... sie hängt dort auf einer Zeitschaltuhr. This light is very very good. I mean, you would think that for the price you are getting some cheap LED but no, this thing is really good. 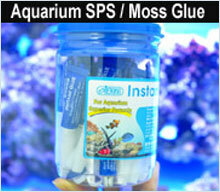 I have used this on my 20 l nano, 55 l nano and it is capable of growing corals without any issues, also macro algae. The only bad thing is that you can only select between blue, blue and whites and off, and there is no option for only whites. An excellent lamp for banks to max. 30 liters. Good product. Price - quality is ok. The super lamp for banks of 40 liters thanks. Delivery with a bang. La pedÃ­ y llego en 10 dÃ­as, perfecta para un ancho de 40 o 45 cm.La Ãºnica pega que le pondrÃ­a es la sujeciÃ³n al cristal es un poco pequeÃ±a y no se queda del todo firme.Por pedir mÃ¡s para otra revisiÃ³n serÃ­a poder tener doble conector para luz dÃ­a o noche y asÃ­ poder programarla las 24 h.
Bin begeistert von der soliden Bauweise, super Licht und tolle QualitÃ¤t. Ich beleuchte mein Ablegerabteil im Technikbecken damit, was super funtkioniert. I love the solid construction, super light and great quality. I light my spin compartment in the sump so what does work, great.